Note Center Entertainment Center Sold Separately. 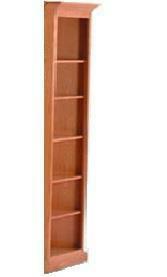 End Corner Bookcase Only. Call for Custom Sizes.